New Delhi : Indian expatriates living across the globe need not worry about any possible problems with their financial or income tax transactions in India for not having an Aadhaar (Indian biometric ID card), an official said on Sunday. 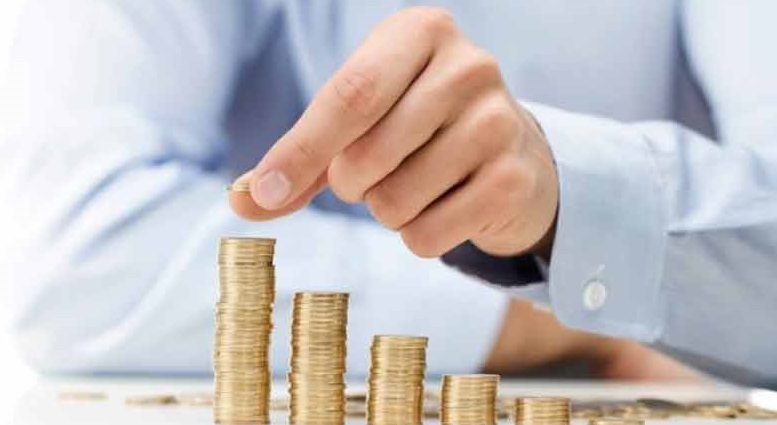 Despite the exemption previously announced by the Indian authorities, many Non-Resident Indians (NRIs) expressed their concerns about disruption of transactions in NRE (Non-Resident External) bank accounts in India and filing of income tax returns. 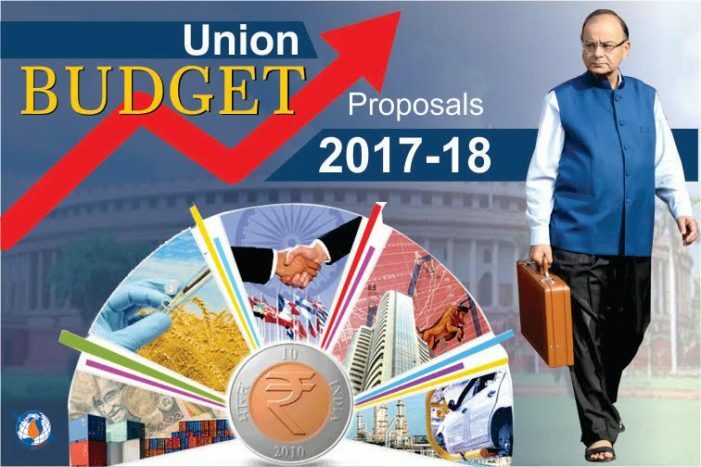 As PAN (Permanent Account Number — issued by income tax authorities for tax and financial transactions) was already made mandatory for holding a bank account, NRIs are concerned about a June 30 deadline to link Aadhaar with PAN. However, a latest Indian government notification has further alleviated these concerns. The requirement of quoting of Aadhaar shall not apply to NRIs for filing of return of income and for making an application for PAN with effect from July 1, 2017, according to the notification issued by the Central Government on May 11. 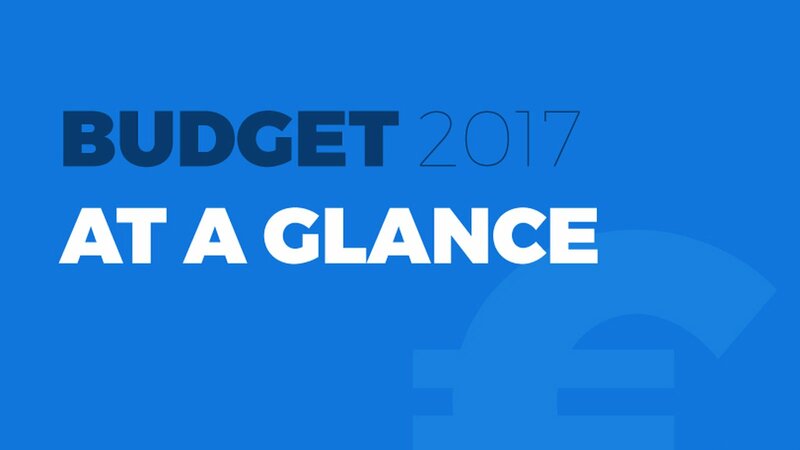 As Gulf News reported on April 7, India’s Central Board of Direct Taxes (CBDT) had also made a similar announcement. The government started giving these exemptions to NRIs after a top official clarified that NRIs were not eligible for Aadhaar and onus was on the government departments to give exemptions to NRIs in this regard. 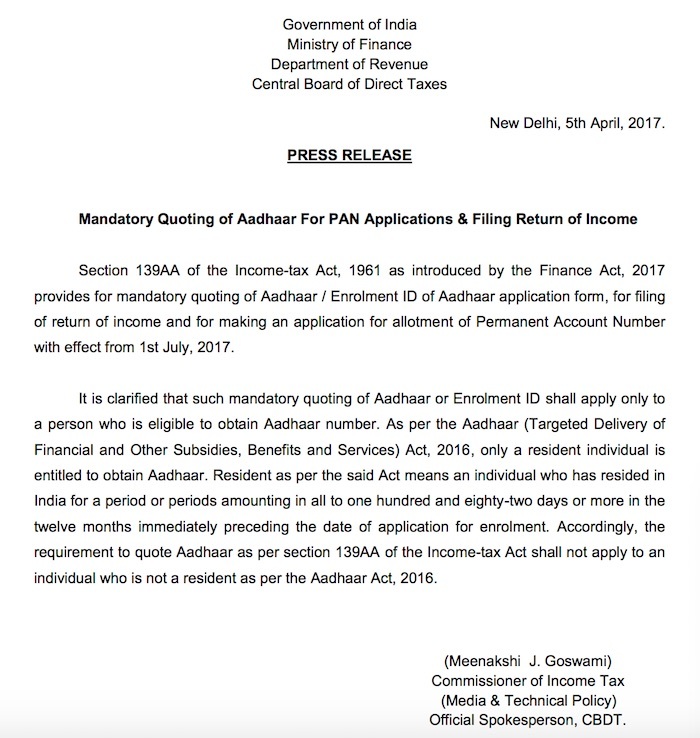 As per recent government orders, PAN card should be linked to Aadhaar card by June 30, 2017 and failure to link them makes PAN redundant. As PAN card was already made mandatory for holding a bank account, NRIs are concerned that this could affect their banking transactions and their accounts may be blocked. A redundant PAN will also affect NRIs who invest in Indian stock market, for which PAN is mandatory. PAN is already mandatory to make cash deposits above Rs50,000 with banks in India. 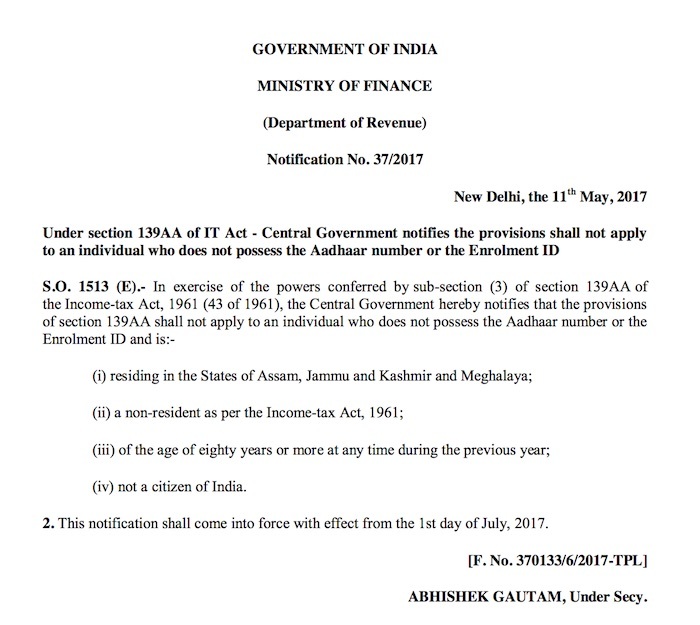 According to the notification issued by the Central Government on May 11, the requirement of quoting of Aadhaar shall not apply to NRIs for filing of return of income and for making an application for PAN with effect from July 1, 2017. The above press release along with Gazette Notification is available on this link. 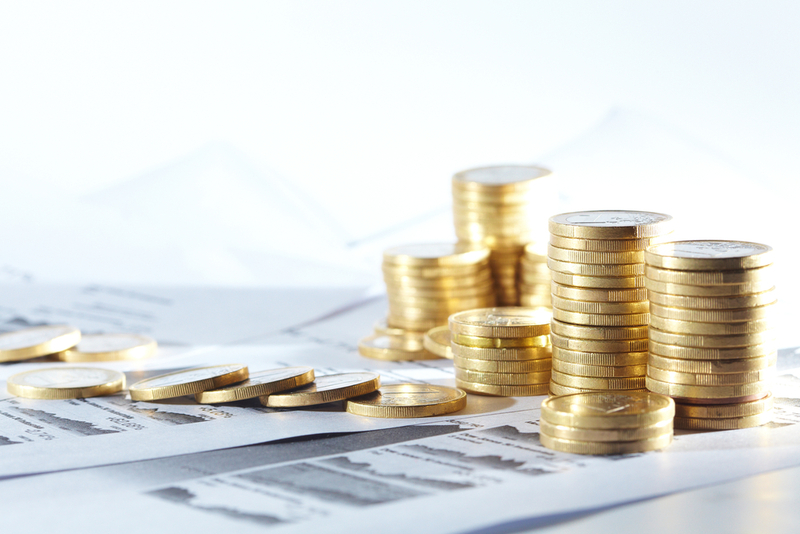 India’s Central Board of Direct Taxes (CBDT) had also made a similar announcement. 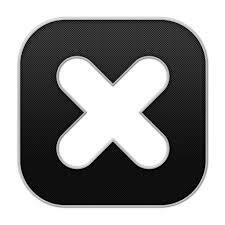 The above press release is available on this link. Here is the link to above statement on UIDAI website. A senior official at Indian Embassy in UAE said that there was no change in the previous announcement. “It is still valid because NRIs are not eligible for Aadhaar as per the law. Otherwise, this law has to be amended,” Gulf News reported on Sunday citing Dinesh Kumar, counsellor, community affairs at the Indian Embassy. 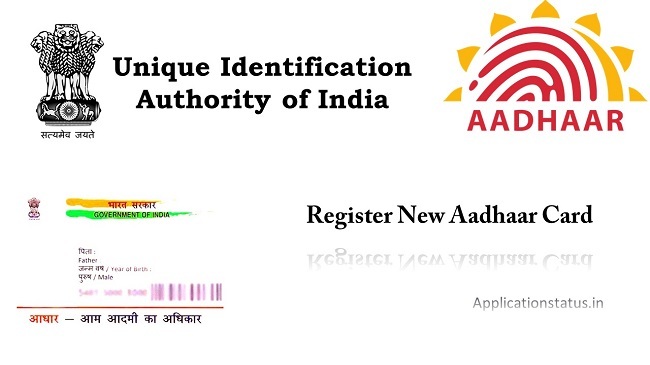 Earlier, Dr. Ajay Bhushan Pandey, CEO, Unique Identification Authority of India (UIDAI), said in a telephone interview from New Delhi that instead of Aadhaar, the departments could get a declaration from the NRI that, being an NRI, he or she was not eligible for Aadhaar card. The Indian Embassy in Abu Dhabi had also announced that Aadhaar was not mandatory for obtaining a driver’s licence or a SIM card in India. 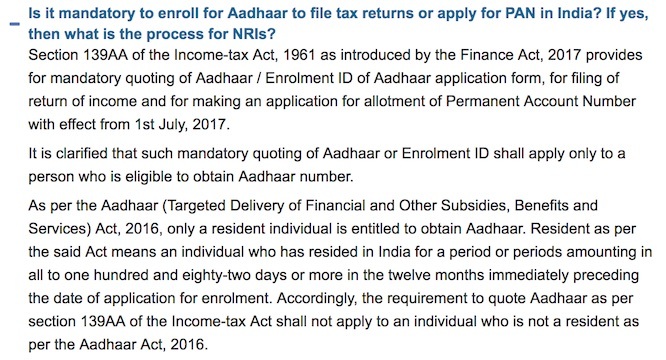 The government started giving these exemptions as technically NRIs are not eligible for Aadhaar and onus was on the government departments to give exemptions to NRIs in this regard. The Aadhaar Act 2016 defines resident as “an individual who has resided in India for a period or periods amounting in all to one hundred and eighty-two days or more in the twelve months immediately preceding the date of application for enrolment,” which cannot be true in case of NRIs. You can see the link to Aadhaar Act 2016 here.